It will be interesting to see if any of these surface in the expected new wave of Tau figures when the Codex appears! Story lifted (as usual) Faeit 212. Update: It appears that these are simply test sculpts by a new sculptor, back in 2008. So it is extremely unlikely they will get into production. 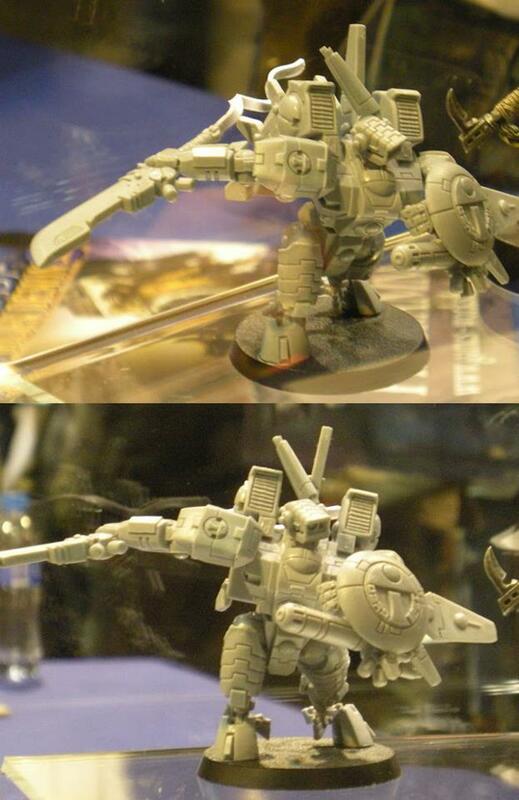 These were sent to me and linked by several people that are getting excited for an upcoming Tau release. Now these pics were from Gamesday last fall, but I figured that since people are rediscovering them, they were worth posting up again. I think people are thinking that these might all be new models for an upcoming release, but I am very certain they are from Gamesday last year. The site these are coming from is in Hungarian, so I cannot tell if they are proclaiming these as new or who actually took the pics. Anyhow, take a look at the other pics, but please remember that these are at least 6 months old. 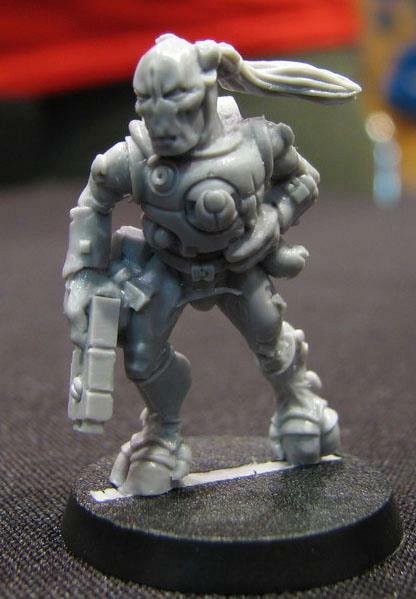 Personally, I love the Kroot figure! 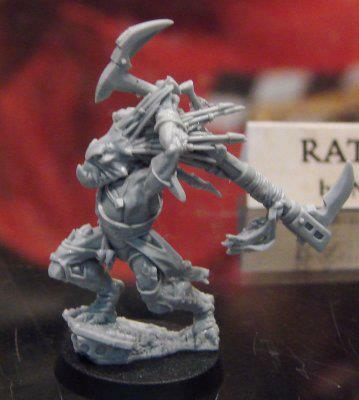 I would be very happy to add him to my Kroot Mercenary Army! actually these are from gamesday 2008. they keep getting reposted with every single rumor cycle. they were trial pieces down by a prospective sculptor to show he could do GW aesthetics. basically "pick a race and show what you can do" work. they were never intended to be the basis of production models. later the Pathfinder figures that were part of the display were painted and made their way into the person's personal army, which got displayed on the GW site some years back. Mithril, Thanks for the update! 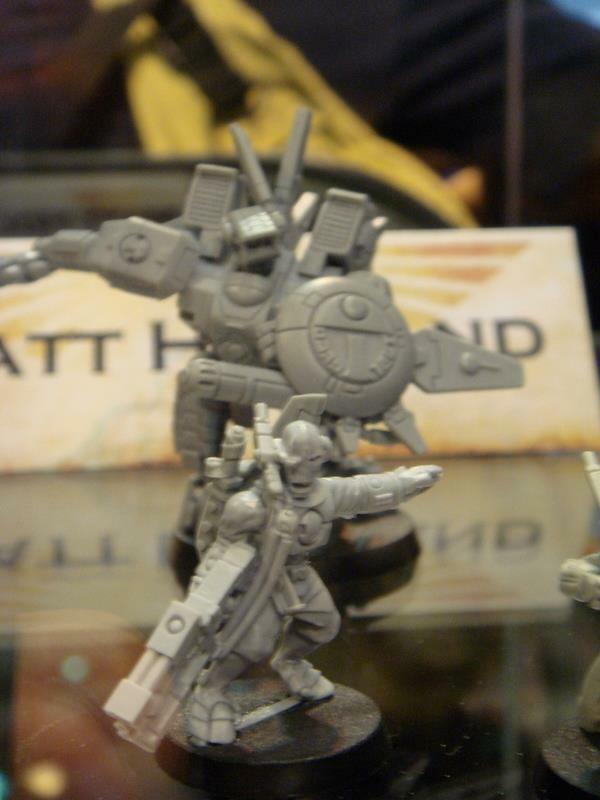 I still think ya'll will be surprised to see Space Marines in April and not Tau. But we shall see. OK, I love the new Tau! Why am I not inspired by the new Tau? A few more details are coming to light! Tau Codex lands on April 6th (and more photos)! The New Tau Codex is real, and April! 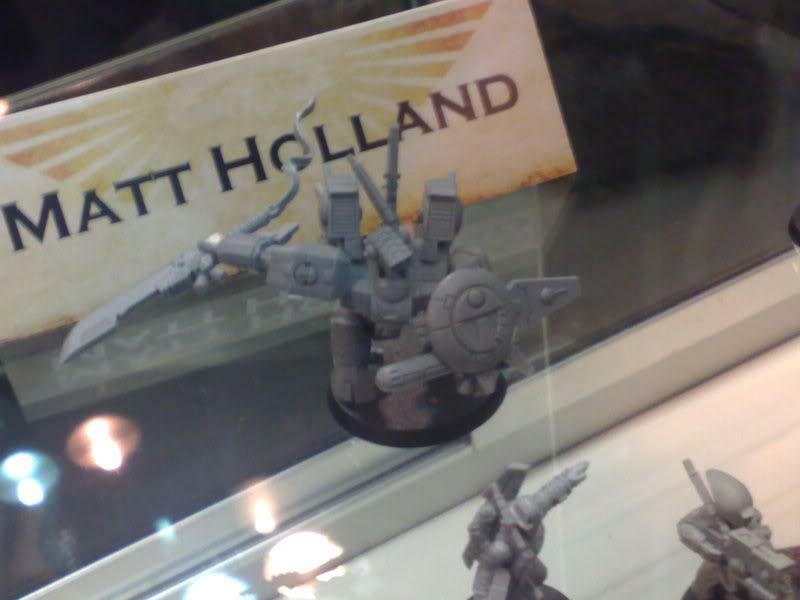 Latest Tau Rumour: Rail Guns whats going on? Building a Tau Army for 6th Ed. With a little help from his friends! Tau Codex and Hammerhead not available! New Tau Novella out this Month?